I’m a big believer in taking time out. With all the hustle & bustle of modern life, people can get caught up running from day to day & neglect to spend time on themselves. Business owners face the same problems, often getting caught up in working in their businesses and not making time to work on them. It was for this reason, I created "Hatch Week". So… what is Hatch week? Hatch Week is an intensive (client) work-less week full of presentations, group exercises & activities aimed at challenging everyone to make us grow holistically as individuals, as a team & as a company. Having Hatch Week allows us to take a step back from our day-to-day operations at Hatch and look at the bigger picture. Nest is Hatch’s values framework for holistically developing a growth-focussed culture. 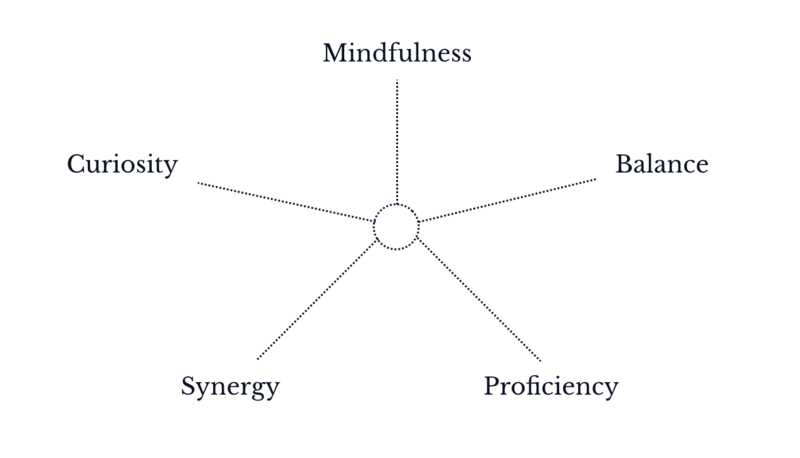 This model contains all of the values we consider to be important in developing a well-rounded team. Raising your level of awareness by developing the skill to extract yourself from situations and assess where you are, what you’re doing & not be overly reactive or overwhelmed by what’s going on around you. Understanding that placing too much focus on one area can be unhealthy for both the body & soul & that enriching our lives through variety can help us to be more empathetic, understanding & generally happier. Developing our skills to a high degree, honing our attention to detail & looking for ways to become more productive & efficient in the way we work both individually & as a team. Learning how we tick, how the people around us tick & how we can work better with those people to achieve mutually beneficial & successful outcomes. Accepting you will never have all the answers but valuing the pursuit of knowledge, developing your ability to think outside of the box & compose creative solutions to the problems around you. So…what are we actually doing? That’s the best part — it’s a surprise! Each member of the team will be presenting to the rest of the team on a topic that’s been assigned to them but apart from that, they don’t know what’s going on. Spoiler alert: The week does include vineyards, group exercise sessions & two days in a remote location. Everyone will be arriving at the office at 8am today and have no idea what’s in store for them. This in itself is part of the challenge. At the end of each day we’ll be publishing a blog on what we got up to. If you’re keen to follow along on the journey, keep a close eye on our Facebook page for the coming posts.